Music: An Appreciation remains the time-tested solution for welcoming non-majors to the art of listening to great music. 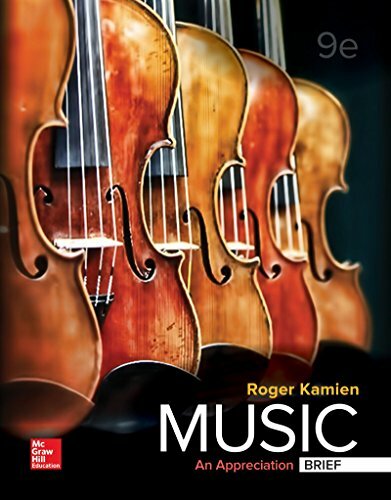 Now, Roger Kamien places a renewed focus on learning the elements of music, fostering each student’s unique path to listening and understanding. This is achieved through step-by-step guidance as they learn the elements of music, as well as an increased number of musical selections to appreciate,and an enhanced McGraw-Hill Connect experience. As the authority in the Music Appreciation course, Kamien equips students with the language, tools and listening skills required to sustain a life-long enthusiasm for music. Purchase Music: An Appreciation, Brief Edition at Discounted Prices ✓ FREE DELIVERY possible on eligible purchases.